DuplicateFinder 3 is restyled and under the hood the math engine has been tuned for better performance. Working with your apps will in time create duplicate files wether they are docs,photo’s or iTunes related makes no difference. When your storage space gets low, it is advised to scan for duplicate files to unclutter your disk. Not only does this reclaim wasted diskspace it also adds performance progress. DuplicateFinder only finds duplicates and leaves originals in their place. DuplicateFinder 3 impressed with a fast scan especially with large files. The competition has no change beating CISDEM DuplicateFinder 3 in terms of speed. 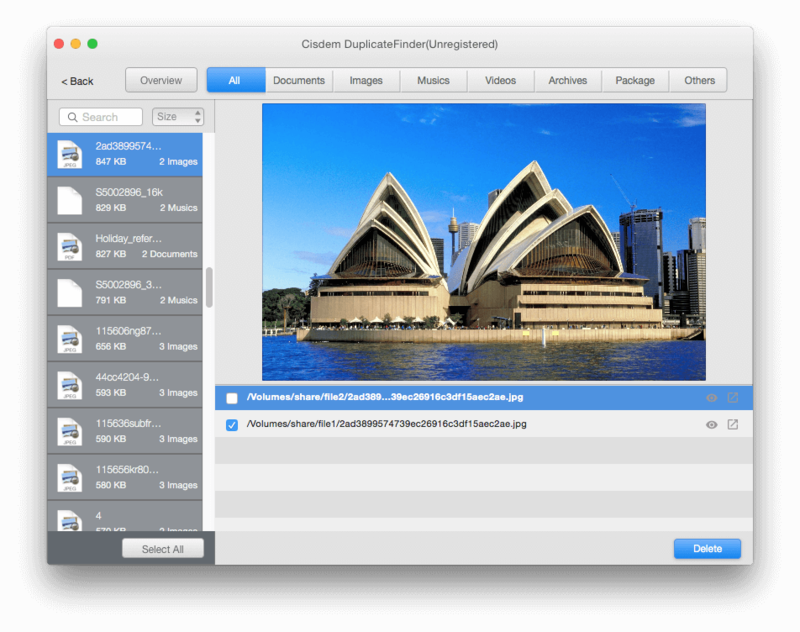 Designed with accurate duplicate scanning algorithms, a faster speed, and a bunch of new features, the new DuplicateFinder 3 comes to give you the best solution on finding and deleting duplicate files in one go. When scanning you can stop at any time and DuplciateFinder will show the instant result. Remove duplicates from your music and photo libraries too. One-click auto selection/deselection of all duplicates at ease. Support external drives and network volumes scanning. Classify duplicates into documents, images, musics, videos, etc. Preview files with Quick Look. Show or open files with Finder. Easy find duplciate files with the built-in search feature. Set to sort duplicate files by size, file, name or file count. Move duplicates to Trash or erase them completely. 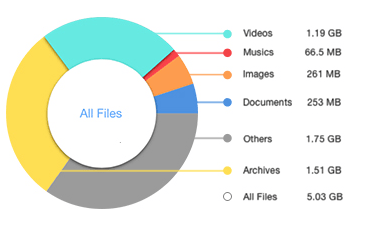 DuplicateFinder makes use of “Smart Baskets” for a quick and easy organization of the found items, with the ability to classify all duplicate files to 7 categories: Documents, Images, Musics, Videos, Archives, Package, and Others and show duplicate files in both pie chart and tab view. You’ll see the number of files scanned, the duplicate count, and the amount of storage space the duplicate files consume. You can click on any culprit to preview it or trace the location of it and its duplicate(s). 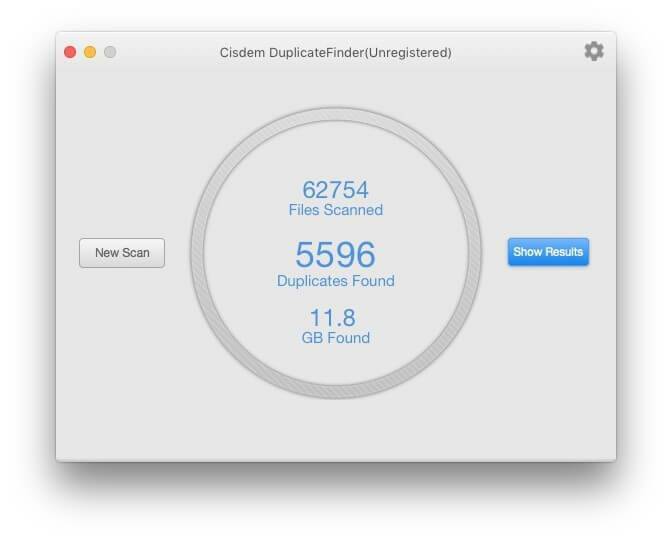 Cisdem DuplicateFinder does what it claims. It finds all your duplicate files fast. Really fast. The results are presented and sorted in file type. So besides a nice interface it is a great utility. I do miss however additional search settings. The delete duplicates option is a one trick pony. Delete duplicates and they’re gone in Trash or permanent > I’de rather see an option like Gemini 2 presents, store in a folder of your choice and delete at any point in time. But DuplicateFinder impressed with a solid scan and fantastic speed.